Mark your calendars for this once a month workshop. while we listen to poetry, stretch, open, and feel good. 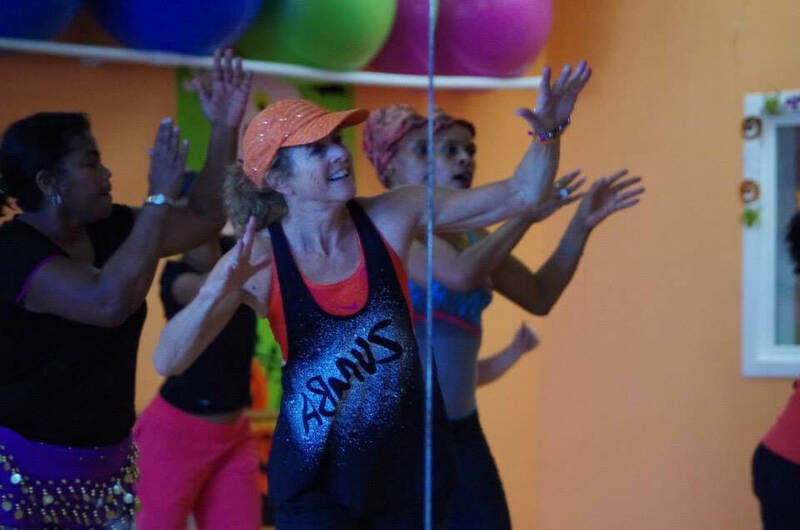 BORP Fitness Studio Excited to Offer ASL Zumba On Saturdays! Want to dance to great music and have a great time? Join BORP Fitness Studio for our new ASL Zumba class. Beginning March 1st, BORP will offer this class every week! We are excited to have Bobbe Skiles, Zumba teacher and ASL Interpreter join us to bring this great class. See you there! Zumba® is a Latin based dance fitness class. Dancing to a variety of rhythms will get the body moving in a fun, energetic way. A Zumba® class is more like a party than exercise! Bring water and a towel and prepare to sweat! You don’t have to be a dancer to join the fun. You just have to want to get into an exercise program and start feeling great! Smiles are required! Bring your energy and prepare to party! ASL Zumba – Saturdays 10:30AM-11:30AM. Your first class is free! $11.00 to drop in thereafter, $8.00 for seniors. Please contact India Harville via email at india@borp.org for scholarship information. BORP Fitness Studio – 3075 Adeline Street Berkeley, CA 94703. Right at Ashby Bart. while we listen to love poems, stretch, open, and feel good. Delish Treats served as well! Two of BORP’s wheelchair basketball coaches will play in the 16th Annual NBA/NWBA All-Star Wheelchair Classic taking place in New Orleans on Thursday, Feb. 13, at 5:00 p.m. PST. BORP Youth Sports Coordinator and BORP Jr. Road Warriors Head Coach Trooper Johnson and fellow coach Chuck Gill are both members of the Golden State Road Warriors wheelchair basketball team and will represent the NWBA West All-Star Team. Road Warriors Head Coach Paul Jackson will lead the West team along with honorary coaches John Starks and Tamika Catchings. Immediately following the Classic NWBA All-Stars will also lead a basketball clinic for local New Orleans youth athletes with lower limb impairments and their families. Action from the 2013 NWBA All Star Classic. Coach Trooper Johnson pictured second from left.